Becoming a trimmer or budtender in Colorado is a regulated process, but it isn’t necessarily a very difficult one. The hardest part is qualifying in the first place, which should be no problem if you are a Colorado resident and have a clean criminal record. 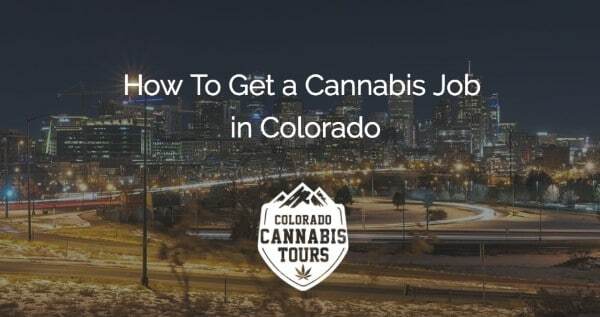 Any job in Colorado comes with the requirement for lots of knowledge. The marijuana industry in this state is extremely regulated, and that means all the workers within the industry must be aware of the regulations, rules, best practices, and so on. Because the industry is relatively new, it’s even more important to do everything perfectly within the rules. The spotlight is always on marijuana businesses to catch them in the act of doing something wrong, so these businesses’ employees need to be doing everything right. Keep reading to find out what the legal requirements for working as a trimmer or budtender in Colorado are. Anyone wanting to work in the cannabis industry in Colorado will need to have a special kind of license for it. There are two kinds of licenses, so you need to decide which type you are applying for. These licenses are a “Key Employees” license and a “Support Employees” license. Those who are looking at entry-level positions (which most likely includes you, the reader) will probably want to go for a support employee license. While the application process for both licenses is very much the same, it matters because those with a Support Employees license officially should have less responsibility in the decision-making processes of their place of employment than the Key Employees. Support employees include trimmers and budtenders unless they are an assistant supervisor or other similar position as well. Anyone applying to be some kind of supervisor or manager will need the license for Key Employees. People applying for the license (often referred to as a Colorado Marijuana Badge) are going to need to do so through the MED (Marijuana Enforcement Division) of Colorado. They have some very strict requirements that you should pay attention to before applying. First and foremost, applicants must be 21 years of age or older. Secondly, you must currently be a Colorado resident – and you need to be able to prove it. This might include bringing in a utility bill, a pay stub, or a credit card statement with your name and address on it. Anyone with a convicted felony, even if it’s related to marijuana or another controlled substance, is ineligible to apply for the license. If the applicant was convicted of a different kind of felony, they must have had 5 years or more since serving their sentence – including parole or probation. Doctors (license physicians) are not allowed to apply, nor are any kind of law enforcement officers. You must not be currently living with or related to a MED employee either. After all these requirements (which you should double check on the MED’s website, as it’s always possible for them to change slightly), only a certain number of potential employees are left. If you are still eligible to apply, then there is probably a good chance that you will get it. However, there are plenty more hoops for you to jump through. Let’s take a look at the various requirements of the Colorado Marijuana Badge application process. First of all, applicants must download the Occupational License Application and fill that out. It is a 14-page document and takes a little bit of time, but overall it is a relatively painless process. Make absolutely certain that you are filling it out accurately and be sure to use a blue or black pen if you are printing it and filling it out on paper. Within this application form you will be required to disclose any arrests you have had in the past, with details, dates, and sometimes official documentation. The Department of Revenue of Colorado is extremely strict when it comes to disclosing information about arrests, so be sure not to hold anything back. They will not accept any excuses, so be sure to fill it out honestly. An arrest will not automatically disqualify you from being eligible for the badge, but being caught lying certainly will. After you fill out the application, you are going to need to set up an appointment (or try your luck and drop in) at one of the MED offices in Colorado. There are only four offices to choose from, and they are located in Denver, Colorado Springs, Grand Junction, and Longmont. If this is inconvenient for you because of it being a far distance, it is a good idea to set up an appointment in advance and get there with plenty of time to spare so that you don’t waste a day. Before departing to go to the MED office, be sure to have all of the required documents with you. This will include your proof of residency, a Colorado-issued driver’s license, a Social Security Card, and any official documentation from past arrests or convictions. You will also need to pay the application fee, the amount of which depends on what kind of license you are going for. If you are applying for the Key Employee badge, it will cost $250. If you are applying for the Support Employee badge (which applies to most entry-level positions in the marijuana industry), it will cost $75. If you do successfully move up the ladder, you can always upgrade your license or apply for a new Key Employee one. Both licenses are valid for two years.